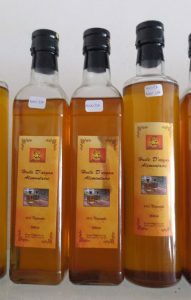 If the fruit of the argan tree, the almonds, are roasted, its oil is used for cooking. Roasting makes its stronger taste and darker color. Its properties make it an oil beneficial for health. With a taste of almond and hazelnut, it can be used to improve dishes such as couscous or fish. When it is added to the crushed almonds and honey, it forms a very rich dough : the amlou. 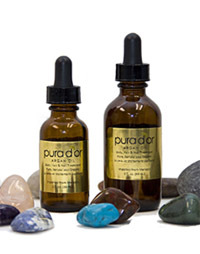 Studies on animals have shown that argan oil, among others things, helps to stabilize cholesterol. The cosmetic oil is lighter. It is used on the skin and the hair. It would have different virtues, to protect hair loss, eczema, and other things as the youth of the skin. Berber women use it for centuries. It is rich in fatty acids and vitamin E, its antioxidants prevent dryness of the skin. Its selling price in Morocco is approximately between 200 and 600 dirhams a liter (14 to 45 £). In UK, it varies from 50 to 180 £ per litre.